1. High-torque, low-speed pistol power tool with it's own CPU. 2. 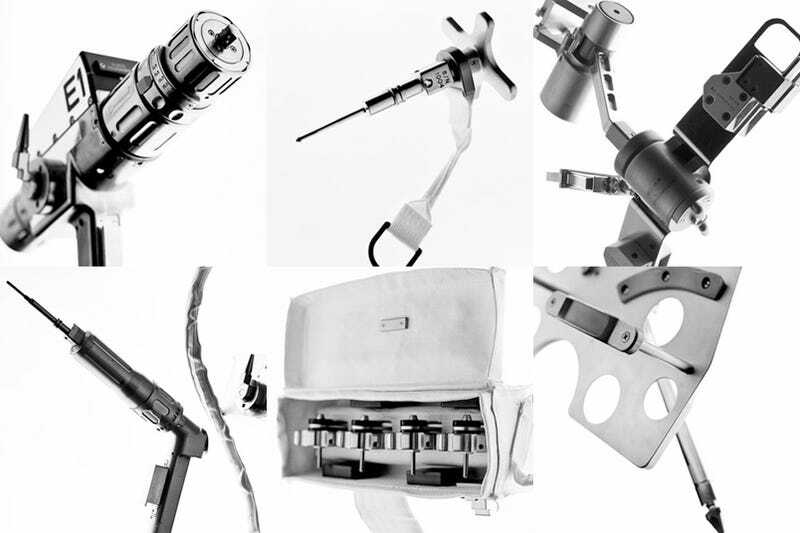 EVA mini-workstation, where the astronaut puts the tools he needs, attached to his chest. High speed, low torque electric screwdriver. 3. Low-torque, high-speed power tool to unscrew or screw quickly. 5. Washer extraction tool used to secure washers so they don't float into space once they are removed.